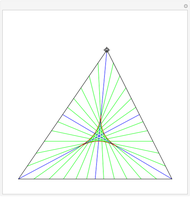 A median divides a triangle into two halves with equal area. 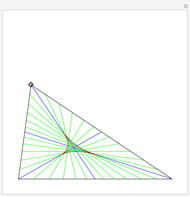 The three medians (shown in blue) meet at the centroid, or center of gravity. 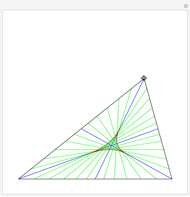 Oddly, not all lines passing through the centroid divide the triangle in half. 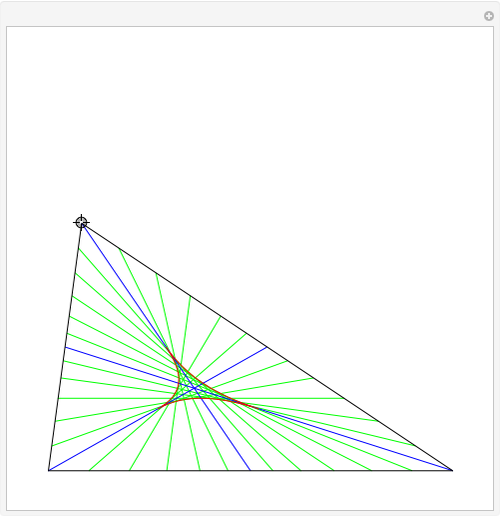 If such a line is parallel to an edge, the division is 4/9 and 5/9. The lines dividing a triangle in half (shown in green) envelope a deltoid made of three hyperbolic arcs. Based on a program by Henry Bottomley. 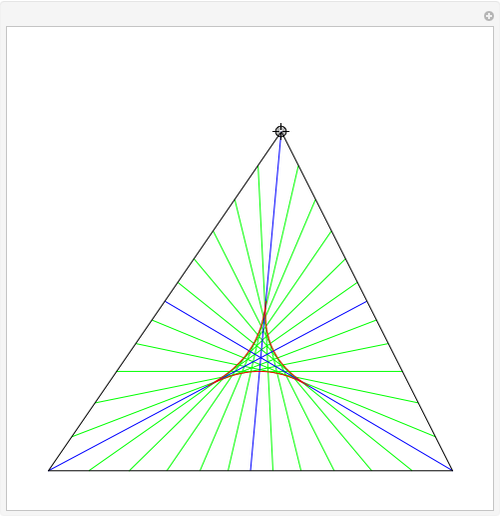 Adapted from: Henry Bottomley, "Medians and Area Bisectors of a Triangle." Ed Pegg Jr. "Halving a Triangle"